In an open letter to Microsoft CEO Satya Nadella sent today, employees demanded that the company cancel its $19.4 million contract with ICE and instate a policy against working with clients who violate international human rights law. The text of the employee letter was first reported by the New York Times and confirmed by Gizmodo. Yesterday, as word of the contract between ICE and Microsoft’s Azure cloud platform spread within Microsoft’s ranks, some employees were incensed—and considering quitting. Now, Gizmodo has learned, those outside the company are having second thoughts about working with a tech giant that’s a “proud” and willing collaborator with ICE. Mat Marquis, a writer and developer, announced on Twitter that he was canceling his contract with Microsoft in protest against its ICE contract. As a result of its ongoing relationship with ICE, Jer Thorp—a deeply-credentialed artist who is currently the Library of Congress’s Innovator-in-Residence—also chose to sever ties with Microsoft. He was scheduled to speak at New York’s Civic Hall on Friday as part of the company’s Machine Eatable conference series. In order to course-correct, Thorp suggested the company state plainly whether or not it had allowed extant facial recognition tools be used by ICE and/or if it had developed custom artificial intelligence tools for the agency. “Following that, he has to state clearly [whether] MSFT will be continuing their contract with ICE into the future,” he wrote. Gizmodo asked Microsoft those exact questions yesterday. The company instead provided a statement which addressed neither issue. In a LinkedIn post on Sunday, Microsoft president and chief legal officer Brad Smith highlighted the company’s work reuniting refugee families in Bosnia and its contributions to Kids in Need of Defense, an organization that provides legal representation to immigrant children. “When we keep children with their parents, we not only follow in the footsteps of one of the world’s oldest and most important humanitarian traditions, we help build a stronger country,” Smith wrote. The open letter by Microsoft employees echoes one sent by Google employees to their CEO earlier this year, which also called on the company to cancel a controversial government contract. Google employees objected to their company’s involvement in Project Maven, a Defense Department pilot program that uses artificial intelligence to assess drone footage. Facing employee pressure, Google announced it would not renew its Project Maven contract. The search giant also unveiled new ethical principles for its use of AI, although some employees questioned whether the principles included a firm commitment to following international human rights law. Microsoft did not immediately respond to our request for comment on the letter. The January blog post where Microsoft announced the partnership, however, explicitly makes mention of Azure’s facial recognition capabilities—hailing them as a boon to the agency. “This can help employees make more informed decisions faster, with Azure Government enabling them to process data on edge devices or utilize deep learning capabilities to accelerate facial recognition and identification,” it states. We’ve reached out to Microsoft about this apparent inconsistency. We believe that Microsoft must take an ethical stand, putting children and families above profits. Therefore, we ask that Microsoft cancel its contracts with US Immigration and Customs Enforcement (ICE) immediately, including contracts with clients who support ICE. We also call on Microsoft to draft, publicize and enforce a clear policy stating that neither Microsoft nor its contractors will work with clients who violate international human rights law. 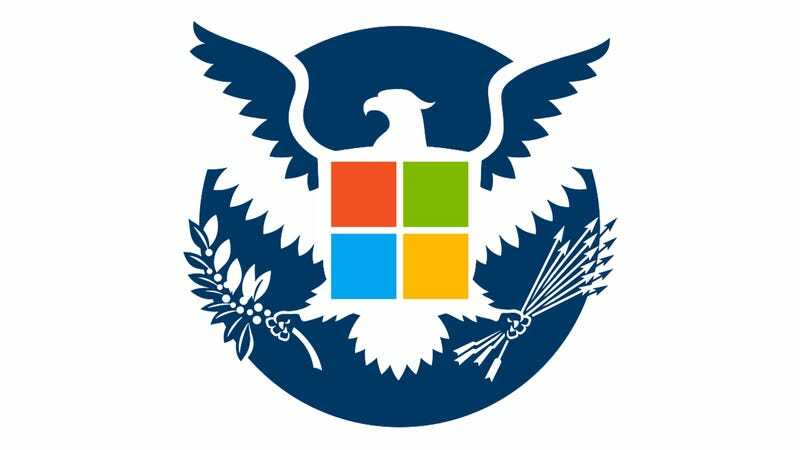 We were dismayed to learn that Microsoft has a standing $19.4M contract with ICE. In a clear abdication of ethical responsibility, Microsoft went as far as boasting that its services “support the core [ICE] agency functions” and enable ICE agents to “process data on edge devices” and “utilize deep learning capabilities to accelerate facial recognition and identification.” These are powerful capabilities, in the hands of an agency that has shown repeated willingness to enact inhumane and cruel policies. In response to questions, Brad Smith published a statement saying that Microsoft is “not aware of Azure products or services being used for the purpose of separating families.” This does not go far enough. We are providing the technical undergirding in support of an agency that is actively enforcing this inhumane policy. We request that Microsoft cancel its contracts with ICE, and with other clients who directly enable ICE. As the people who build the technologies that Microsoft profits from, we refuse to be complicit. We are part of a growing movement, comprised of many across the industry who recognize the grave responsibility that those creating powerful technology have to ensure what they build is used for good, and not for harm. 1. Cancel the existing Azure Government contract with ICE immediately. 2. Draft, publicize, and enforce a clear policy stating that neither Microsoft nor its contractors will work with clients who violate international human rights law. 3. Commit to transparency and review regarding contracts between Microsoft and government agencies, in the US and beyond.